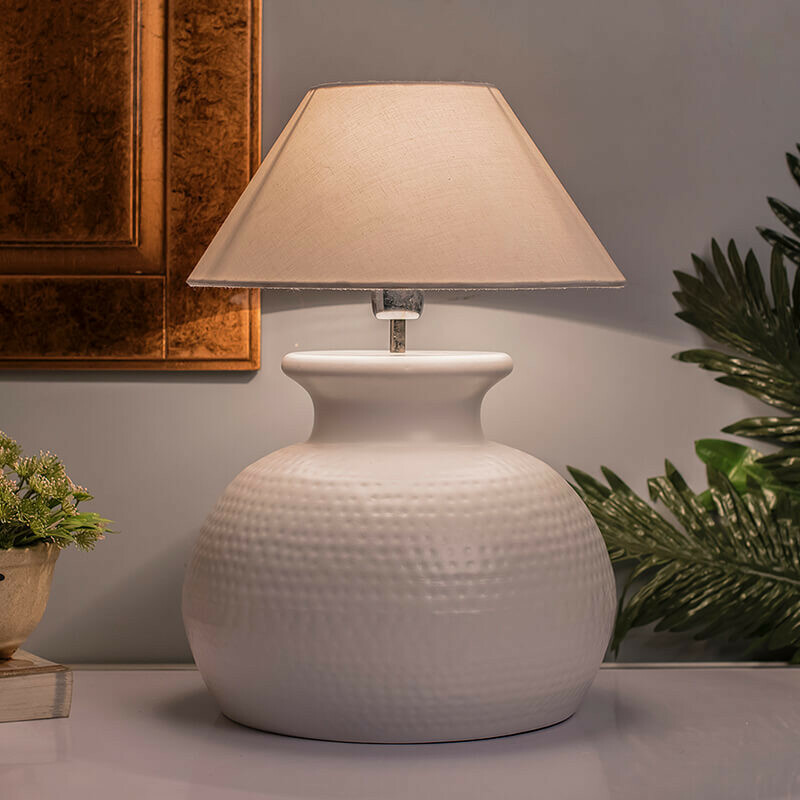 The Brighton hammered table lamp was inspired by Western and Southwest style design and is a perfect accent for a cozy traditional or rustic home. The metal base has a hammered lamp texture in a warm matt black finish. The shade is linen. It comes with a convenient ON/OFF switch and 1.5 meter long wire, with tested and approved standard for perfect and safe lighting. Use a pair as bedroom lamps, or add a distinctive look to seating areas.